I like shoes. I also master the useful skill of finding good reasons to buy yet another pair of shoes. One of my colleagues even asked whether I have already booked a shipping container for my shoes, when I was arranging the moving. However, shoes belong to the outside and they are to be taken off when entering the house. Period. Or so I thought. 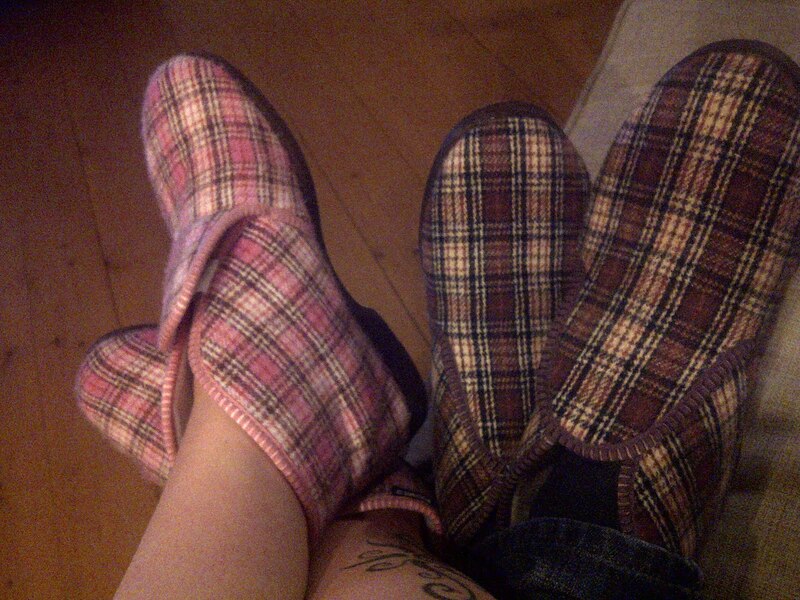 These funny people in the Netherlands also wear them inside. And yes, they are the same shoes that you are wearing outside. First I thought it must be a weather thing, maybe here it isn't tons of gravel and snowy mash that is coming with your shoes to the indoors. But as a matter of fact, the weather can be quite muddy sometimes. Then I thought that well maybe people have some exceptions like winter shoes - you wouldn't want to wear those big sheep wool boots inside, right? But apparently, also those kind of shoes are perfectly fine wearing indoors when going to a party. I also feel a bit uncomfortable and non-relaxed with wearing my shoes all the time. Visiting somebody's home I feel like I am half way out of the door all the time if having my shoes on. It would be like wearing a outdoor jacket at a party, all the time ready to go. I also am not quite sure what would happen if I would just take my shoes off when entering somebody's house. Would people think that it's just the weird Finnish girl, trying to ignore my unusual habits? 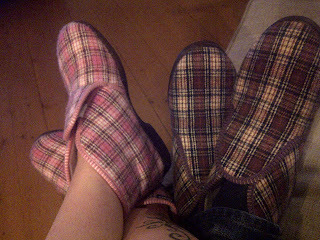 At the Dutch Guy's parents I have luckily gotten to a point, where I am offered a pair of slippers when going there. Then I can sit on the sofa with my legs bent up without having to think whether the shoes from the outdoor are making stains everywhere. Funniest thing happened few weeks ago, when we had some people over. We were making preparations, and suddenly the Dutch Guy started putting his shoes on and I thought he is going to the supermarket to get something that we forgot. But no, he was of course putting his shoes on.. without even the intention of going outside. So, when visiting somebody in the Netherlands, please wear your shoes. It is perfectly OK. And when visiting someone in Finland, please don't wear shoes inside. It is weird. Do take the indoor shoes (sloffen) to the office! I know I would. Excellent! and if any one asks or looks weirdly, I can just say that I got the approval from a Dutch person :-) Maybe I start having sloffen-maandag's at the office..
Gelukkig Nieuwjaar / Hyvää Uutta Vuotta!